A Google Earth shot of the area around the Trolls Cache, which is at the green arrow. You can also see the town of Livingston. We continue to count down our Top 10. This one is from my pre-Natasha days – my single Spartan divorced middle-aged male phase. From June of 2006, the Trolls Cache. In June of 2006, my son Ben and I headed out for our annual summer road trip. 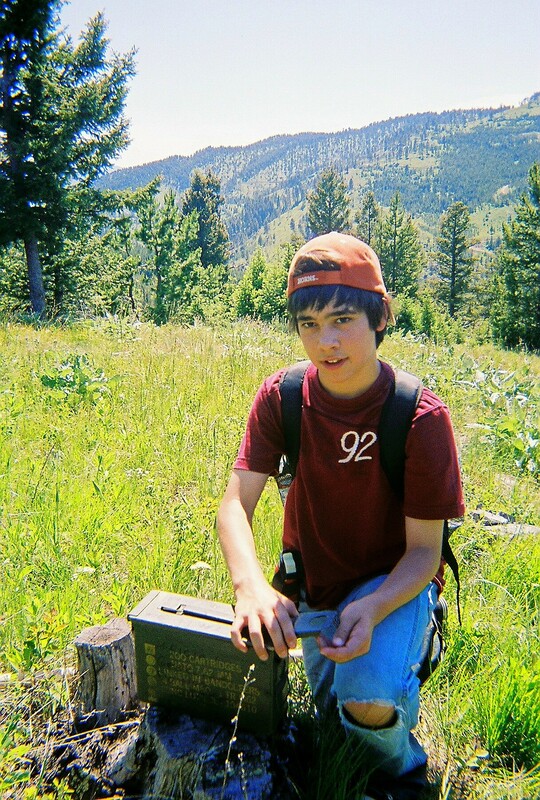 He was 13 at the time and we had just discovered geocaching the previous year. We were both hooked. 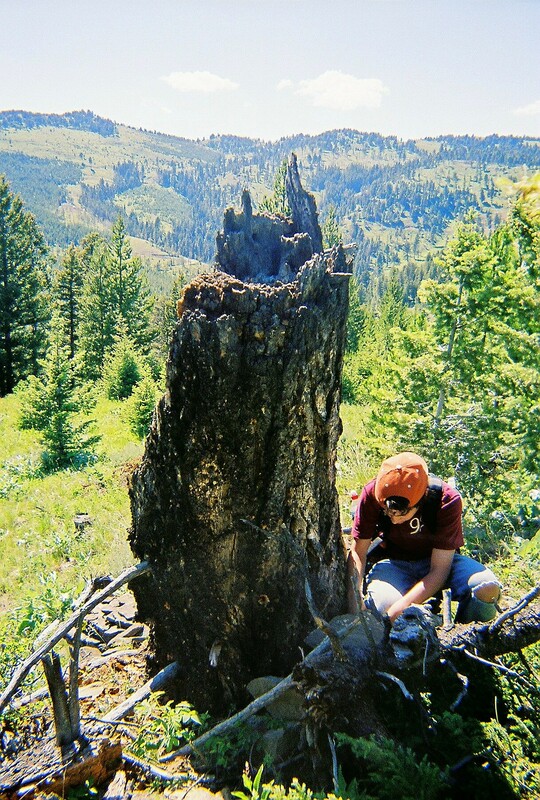 This would be the first of many big geocaching expeditions. After Yellowstone and white water rafting on the Gallatin River, we headed to Bozeman, Montana for some back country geocaching. In those days, smart phone apps and geocaching on-the-fly weren’t around yet. There was a lot more planning involved and a lot less flexibility. The GPS we had were Magellan SporTrak Map models. They were first generation hand helds but they got the job done. We sometimes had to stick them out the window to get good GPS fixes. Navigation was done by laptop using Delorme Street Atlas. So we had to do a search in an area, pick out the caches we wanted to do, print off the cache sheet then enter it as a destination in Street Atlas. It was primitive by today’s standards but pretty much state-of-the-art then. We didn’t have Internet in the car, so we did our searching and prep at the hotel, then loaded up the laptop, Street Atlas and the Magellans with everything we’d need. The laptop had external USB GPS and a power converter for the car, so we could run it whenever we needed. We even had a small USB Canon printer that we could run in the back of the car if needed. Ben became quite adept at doing all that and navigating in the car with a laptop. In one of our searches, we came up with a geocache called the Trolls Cache. 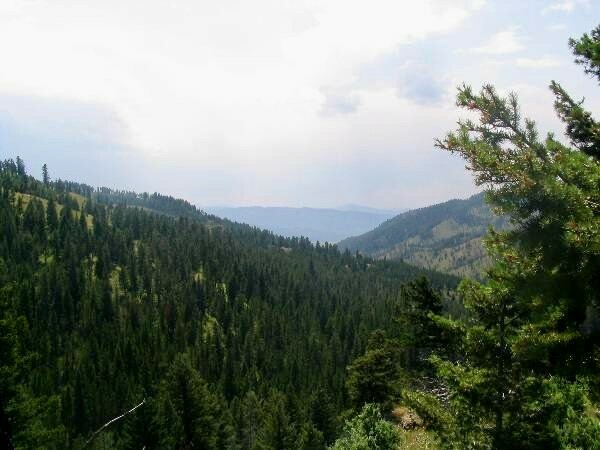 It was halfway between Bozeman and Livingston way back in the Gallatin National Forest. It hadn’t been found in almost two years. We decided to take a crack at it. We headed for it in early afternoon. It seemed like we drove forever on a series of dirt roads that got progressively worse and worse. Our navigation finally got us to a point that had ground zero about 1/4 of a mile to our right – across a stream and up a steep mountain. Off we went. We walked and walked and walked. Most of it was uphill. The area had been lumbered out years before, so there was thick new growth and lots of ankle-breaking flotsam and jetsam on the ground. It was hot, slow going. Like idiots, we didn’t take any water because we figured it would be a short jaunt. We also found out later that this is prime grizzly habitat and we had nothing for bear defense. At some point I turned around and realized that I couldn’t see the car anymore and the sun was below the ridgeline. Shadows were getting deep and dark fast. We were about 50 yards away from Ground Zero when I told him we had to back off. It wasn’t safe. We made our way back down the mountain thinking now we know why no one has found it in two years. The car was barely visible when we came out of the forest and it was pitch black when we drove out. Back at the hotel, we were bummed out. We decided to take another shot at it. 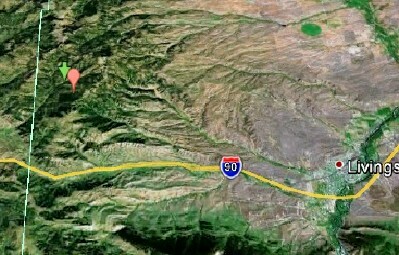 We fired up Google Earth and got out the Delorme Montana Gazetteer. We found what looked like an old road, maybe a lumber trail, that might lead up to the cache. It would be a walk along the ridgeline instead of going up the mountain. The next day, we were off in early morning with a map, GatorAde, lunch and bear spray. We learned some hard lessons on this one. For me, the biggest one was I’m not a Marine anymore. I don’t have to get hurt or killed to find a cache. Ben, who was 13 at the time, was tough and had his game face on the whole time. I asked him how many of his buddies had found an ammo box in the Montana wilderness lately. He got a confidence builder and a crash course in real world decision making which he never forgot. Over six years later, the kid is grown up and off to college, but we still laugh and shake our heads over the Trolls Cache.